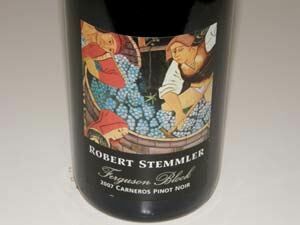 Robert Stemmler was a pioneer of California Pinot Noir. He arrived in Napa Valley in 1961 after making wine for a decade in his native Germany. He worked at the Charles Krug Winery with the Mondavi brothers and then became the winemaker at Simi. He also consulted for other notable wineries including Inglenook, St. Clement and Raymond. In 1976, he founded his own eponymous winery in Sonoma's Dry Creek Valley. He released his first Sonoma County Pinot Noir in 1982 and received considerable critical acclaim. The vintages that followed won many awards from wine competitions and accolades among the wine press. He quickly set a standard in the industry for Pinot Noir. Robert mentored young Pinot Noir producers like Davis Bynum and Gary Farrell. He traveled widely, promoting his Pinot Noir in a world that was dominated by Cabernet Sauvignon and Chardonnay producers, and steadily developed a following. In 1984, he met Anne Moller-Racke and their friendship began. In 1989 Robert retired from full-time winemaking after 35 years. His friends, the Rackes, purchased the label, maintaining it initially as a wine club and tasting room brand within Buena Vista. 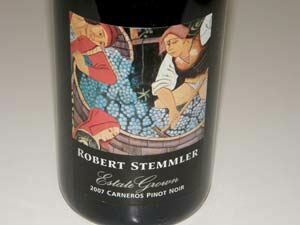 With the sale of Buena Vista, and the founding of The Donum Estate, the Robert Stemmler label was launched by the Rackes. See winery description under The Donum Estate. I can remember many, many years ago visiting the original Robert Stemmler Winery in Sonoma and it was one of the Pinot Noirs I cut my teeth on. Pinot Noirs are sourced from The Donum Estate in Carneros and the Nugent Vineyard in the Russian River Valley. Check out the Pinot Blog on the website. The wines are distributed to fine wine retailers. Beginning with the 2008 vintage, the wines are labeled as Stemmler (see under Stemmler for reviews in 2008 forward).